At Family Tree, we believe that peer-driven programs are highly effective at meeting people’s needs. We often learn best from others with similar experience who can empathize before guiding. 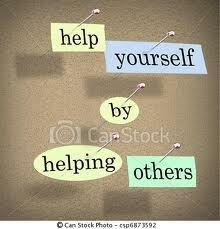 This is a basic principle of our Mothers for Recovery Mentorship Program. The Mentorship Program connects Mentees (moms new in recovery) with volunteer Mentors (moms who have at least one year clean from all drugs and alcohol and have completed the mentor training program). Mentees who are successful in achieving one year clean and sober are able to receive training and become Mentors. Mentees benefit from the experience and strength of the Mentors and participate in group activities to address their issues with addiction and learn new life skills as a parent in recovery. Life-skills workshops are facilitated by the mentors, staff, and community professionals. Successful workshops have included Healthy Boundaries, Healthy Female Relationships, Post-Acute Withdrawal Symptoms, Healthy Parenting, and Relapse Prevention. Mentees also have access to 1:1 Case Managment and Support from staff. Participants of this program have reported that they have an increased awareness of how to deal with their drug and alcohol issues. They have also reported that this program has been instrumental in maintaining abstinence from their addiction as well as in improving the quality of life of themselves and their children. Another benefit of this program is that we connect professionals from the community with participants in an educational setting, thereby increasing our participants professional support network. This program is open to all mothers who are seeking recovery from drug and/or alcohol addiction. For this purpose, a mother is any woman who has been pregnant. It is not necessary that these mothers have children in their custody. Free on-site childminding is available. Our vision is a community where families have the community support and personal capacity to overcome barriers and reach their desired potential. Copyright © 2019 Kamloops Family Resources Society. All Rights Reserved.